Being challenged by Ozu (psst, she just published her second book!) to answer 11 random questions. I found the questions are interesting so why not? 1. What are 5 little things that make you happy? Books, cute and colourful stuffs (perintilan-perintilan unyu), cats, music, random conversation. 2. If it's possible to live your live like a movie, which movie would you choose? Harry Potter! I always dream of living in wizarding world where I have my wand and able to cast magic spells, going to Hogwarts, and be friend with Harry and his gank. 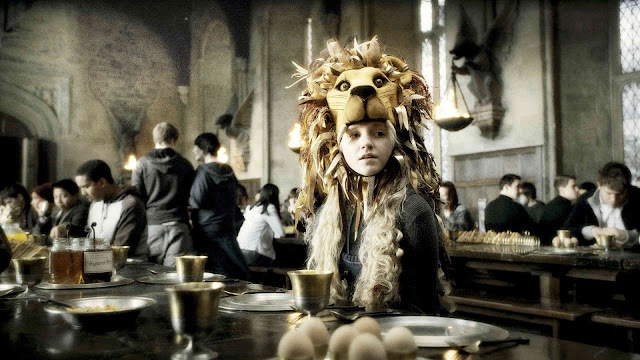 I imagine myself as Luna Lovegood - kind-hearted, open-minded, and doesn’t afraid to be different. Nothing much in particular. I listen to Spotify’s Discover Weekly, they’re pretty good though. And I'm listening to Roekmana's Repertoire, the album of Tigapagi (my favourite band!) while writing this. 4. One thing about life you wish you had known 5 years ago? Kineruku, Bandung - I like to read the book in their green backyard on a cloudy day. POST, Jakarta - I like the owners! They’re so kind and you can ask them about the books that they sell. I once had a conversation with them about “The Bridegroom Was a Dog” a quirky novel by Yoko Tawada (a Japanese author), on how we kept repeating “WTF” while reading it. Hahaha. They’ll recommend you good book based on your preferences. BooksActually, Singapore - I've wrote it on my previous post. 6. What's the last thing you did for the first time? 7. K-drama & k-pop, yay or nay? I used to watched Running Man (it’s not a K-drama but more like K-variety show) but I stop watching it like years ago after I graduated from University. I remember watched it as an escape from my final project. But I’ve never really watched K-Drama and I never had intention to watch it because I'm more into American or British TV Series. I watched some good Korean movies though. My favourite is “Castaway on the Moon”. So K-drama, yay, because why not? I think I'll try K-drama soon if there's any good recommendation. I don’t really listen to K-Pop, except the first album of SNSD. It’s easy listening and somehow uplifting. But I don’t get why people go crazy about Korean boyband. I mean, they sometimes look like...... girls. Definitely not the kind of boy that I'd be crazy for. So I guess the conclusion is… Yay for the music, Nay for the performance. No offense for the fans, we just have different perspective here. 8. The best finger lickin' good food? 9. What do you think about the cabinet reshuffle? I am not into political stuffs but I think our president is just doing all the best that he can do to make our country develop better. So we have to support it! 10. Your favourite guilty pleasure habit? Buying (tons of) books without knowing when I will read it all. 11. 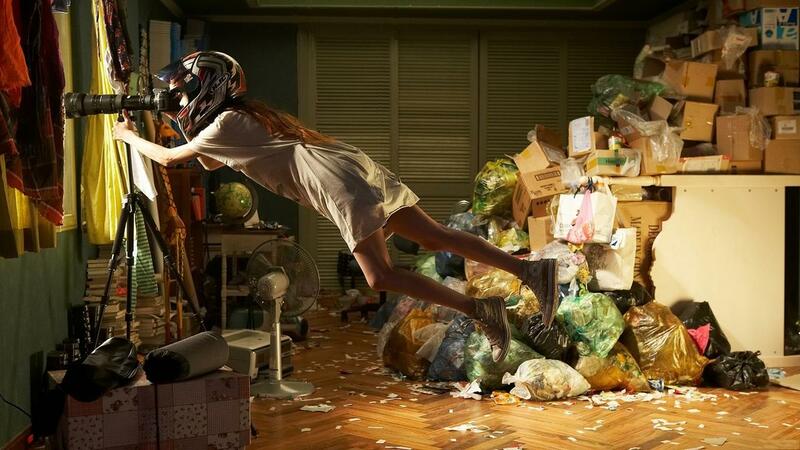 If you could have one super power, what would it be? So, the rule is to continue this challenge but since I'm too lazy to think about new questions, I'll just challenge my fellow blogger friends to answer the same questions. 1) Justin Larissa, I've never met her in person but I love reading her blog. 3) Mbak Noni Khairani, yang ramah banget. 5) And all of you who read this and find this challenge interesting, you're very welcome! Mending ga usah ketemu sama si Justin mah, Mir. duh iya aku pengen banget deh ke Books Actually dari dulu belum kesampaian, makin pengen kesana karena ngeliat postingan kamu , Mir!